There are some extras you get for using Apple Pay that I think are very much worth mentioning. Instant notifications of all transactions on your cards. The banks want to pay you to use Apple Pay. An extra benefit of using Apple Pay, that I find very cool and really handy is the instant push notifications of transactions. And I'm talking about ALL transactions on cards you add to Apple Pay. Even old school swipe transactions, not just the transactions to do with Apple Pay. When you add a credit card to Apple Pay on an iPhone 6, 6 Plus or iPad Air 2, it turns on push notifications automatically for the card. So I added my American Express cards, which I use the most often, to both my iPhone 6 Plus and my iPad Air 2. So then what happens is that every time I use the card in any way, I will instantly get a push notification when it's used with the transaction details including where and the amount. Keep in mind, you don't even need to use Apple Pay to pay, it happens for everything. I find this wicked cool, as both a AMEX customer and a tech geek. As a credit card customer it allows me to instantly audit my charges, AS they happen !!! It gives me extra peace of mind to know that if there were a fraudulent charge made to my card, I would get notified the instant it happens. The tech geek in me loves it because it's crazy wicked fast. I get the notification seconds after the charge is processed. At a restaurant, when the wait person takes my card with the check to process it, I get the notification on my iPhone or iPad BEFORE they even get back to my table with the charge slip for me to sign !!! At a gas stations, I get a push notification of the reserve charge the station makes, seconds after I swipe the card at the pump. I get it BEFORE I even have time to take the gas cap off and put the gas pump in it. At Starbucks, I get a push notification of an automatic reload of my Starbucks card, BEFORE I even get my coffee. And before I get an email about it from Starbucks. It's redonk-ulously fast. An extra geek cool-ness, is that the notification pops up on which ever device I happen to be using at that moment. And all transaction history is available on both devices. If you tap or swipe the notification you can see the details of your transactions. On the iPhone 6 Plus it will open the card in Passbook, where it will display the card and the last transaction. Then to see other transactions, you can tap the Info icon (letter i in a circle) and see the details of transactions. And on an iPad Air 2 it will open the Passbook & Apple Pay section of the Settings app, where you can tap on the card and see the details of transactions. And keep in mind, this is all happening without even using the AMEX app. All you need to do is add your card to the Passbook & Apple Pay section of the Settings app. That's it !!! And it just works. That alone, the extra security and peace of mind, is reason enough for me to use Apple Pay and ONLY use cards that work with Apple Pay. Banks want to pay you to use Apple Pay. That's how much they like it. Last month Wells Fargo started offering cash money if you use Apple Pay with their cards. You'll get $20 if you use their credit card with Apple Pay. And $10 it you use their debit card. And last week Chase Bank started offering a free album for people who add their Chase card to Apple Pay. So why would banks do this for another payment service ? Because Apple Pay isn't just another payment service. I think the banks love Apple Pay because of it's incredible security. 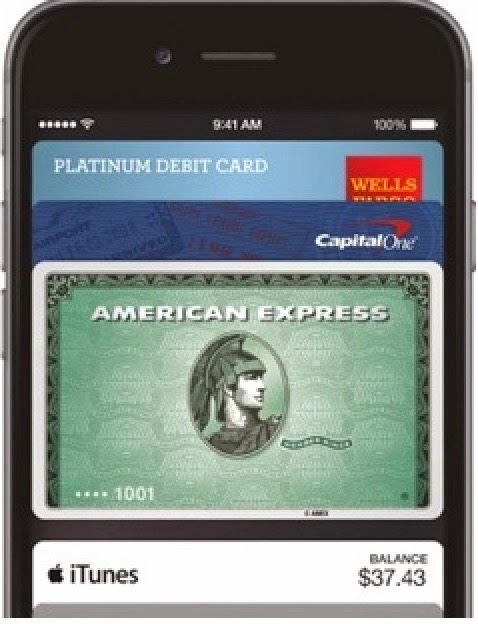 As I discussed in my article Why will Apple Pay make Mobile Payments a Reality ? , the security of Apple Pay is a breakthrough. Unlike standard credit and debit card transactions, there is nothing to steal. It completely eliminates fraud. In 2013 fraud cost $5.3 billion in the US. So eliminating fraud is worth some serious bucks. And encouraging and even paying people to use Apple Pay is totally worth it. MacRumors Apple Pay round up page has been keeping track of banks, merchants and more about Apple Pay, so check there for the latest offers. Is a Home Automation Revolution Coming ? How is Apple Pay Doing ?